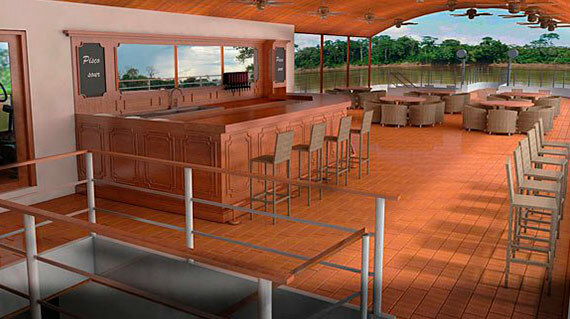 Estrella Amazonica is designed to offer you an unprecedented personal experience in this untamed frontier. Spacious, air-conditioned cabins — each approximately 220 sq. ft. — feature floor-to-ceiling windows and private balconies, so you are constantly surrounded by rainforest views. Cabin interiors feature hand-crafted furniture by Peruvian artisans, plush linens and roomy private baths with all ammenities. 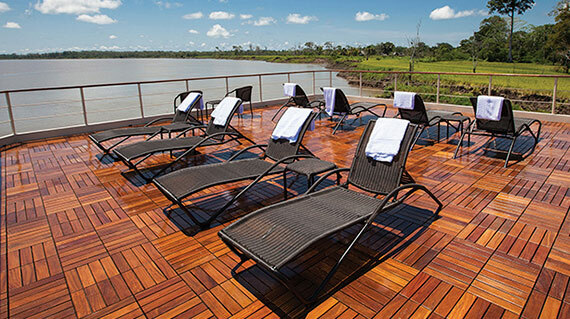 Let’s cruise the Amazon Jungle on board the Estrella Amazonica! 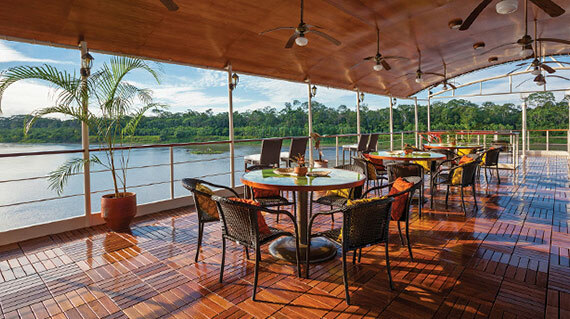 All about the Estrella Amazonica River Cruise. La Estrella Amazonica is designed to offer you an unprecedented personal experience in this untamed frontier. Spacious, air-conditioned cabins — each approximately 220 sq. ft. — feature floor-to- ceiling windows and private balconies, so you are constantly surrounded by rainforest vistas. 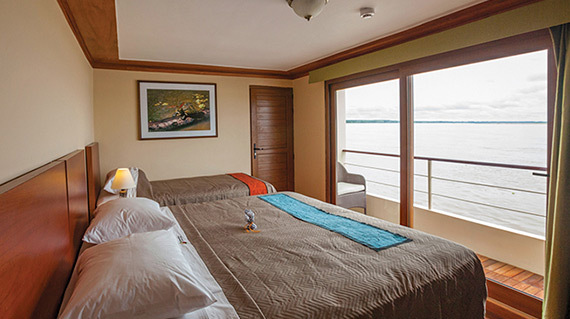 Cabin interiors feature furniture hand-crafted by Peruvian artisans, plush linens and roomy private baths. 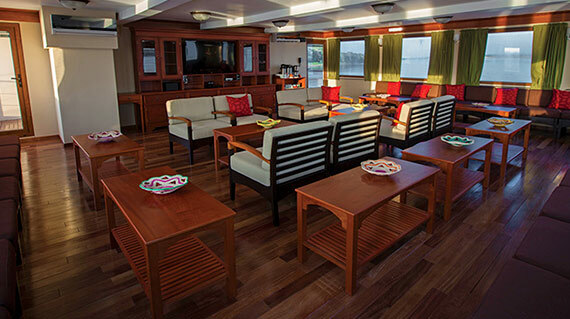 First class service on board and fully supported voyage with personal attention in small groups. Health insurance and personal travel insurance. Other extension and optional tour arrangements. Solo Cabin: 175 sq. ft. Double Cabin: 217 sq. 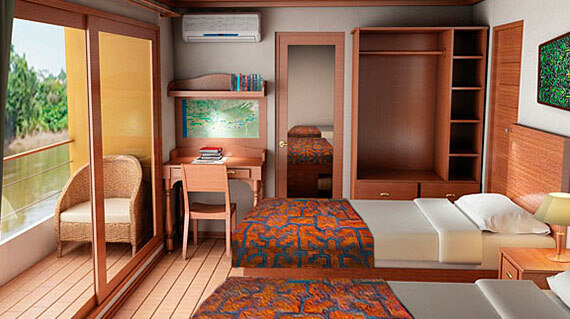 ft.
Suite/Triple Cabin: 261 sq. ft. Dining Room: 1,000 sq. ft.
Lecture Room: 765 sq. ft. Fitness Room: 162 sq. ft.